$5 for $10 Barnes & Noble Gift Card. Mailed to Chicagoland Addresses Only. Subscribers who purchased previous WhereYouShop/Deals Magazine Barnes & Noble deal are ineligible. Gift card will be mailed via USPS to the Chicagoland address indicated at checkout. Maintenance, dormancy or service fees do not apply to balances on Gift Cards. Gift Cards have no expiration dates. 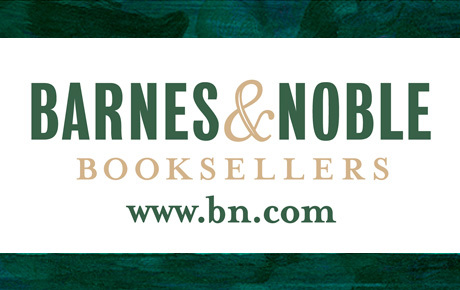 Barnes & Noble Gift Cards may be used to purchase annual memberships in the Barnes & Noble Membership program (continuous billing memberships require a valid credit card). Barnes & Noble Gift Cards won't be replaced if lost or stolen. With summer in full swing, there's no better time to stop in a Barnes & Noble* to stock up on books, movies, music, games and more. Double your loot with this exclusive Deals Magazine offer, 50% off a Barnes & Noble Gift Card ($10 Value). Barnes & Noble is the ultimate destination for book lovers with shelves stocked with all your favorite reads or hard-to-find titles. Plus, their website stocks more than 1 million book titles for immediate delivery—more than any other online bookseller. Allow 7-10 business days for delivery. Barnes & Noble Gift Card will be mailed to the Chicagoland shipping address indicated at checkout.